West Elm — the Main Street home decor store — offers great suggestions to customers. The sign hangs just inside the Parker Harding entrance. This entry was posted in Downtown, Local business, Pic of the Day and tagged West Elm Westport. Bookmark the permalink. Interesting choices. Not what I would have said! Indeed…how are those choices made? Simple whim or a more researched method? Works for me. Good for them. I believe the point is not in their choices, but the fact that they chose to support other local businesses. Everyone that walks in that door is exposed to 10 local businesses that they may not have otherwise known about or thought to try. 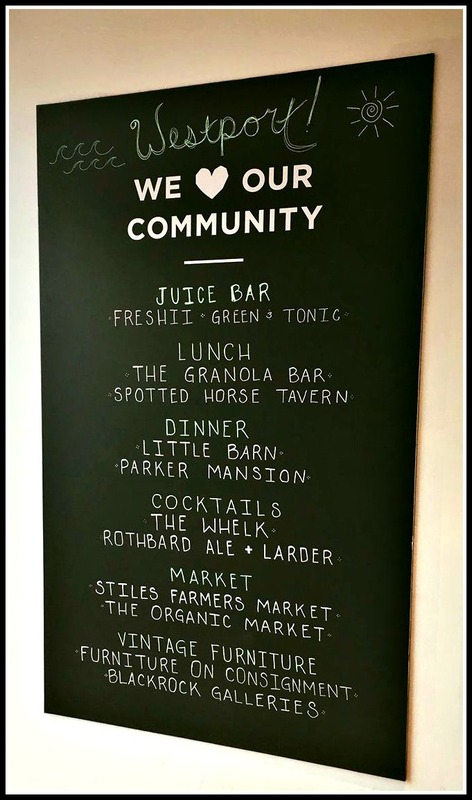 Bravo West Elm for supporting local neighbors.